The Henley Dual Function Concealed Shower System is ideal for wanting to add a period and luxurious look and feel to the bathroom. 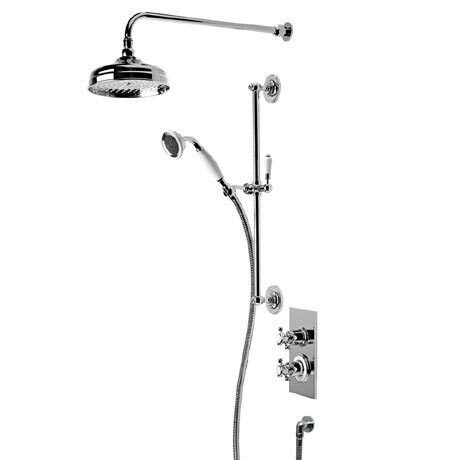 Featuring a dual function diverter thermostatic shower valve, 200mm solid brass shower head and arm, single function brass shower handset, brass wall elbow and riser rail. Roper Rhodes back this classic shower system with a 10 year guarantee.